You can use Form 1040 or Form 1040A to deduct student loan interest. 1. Can a College Student Put Down a Tax Credit and Interest Deduction for College? 3. Can I Take the Tuition Deduction if My Son Doesn't Take It? If you've taken out student loans, Uncle Sam gives you a tax break as long as the loan qualifies. Knowing the qualifications can help you make better decisions when you take out the loan and not disqualify the loan. However, student loan interest is limited to $2,500 per year no matter how many loans you took out. At the end of the year, you'll receive a Form 1098-E that shows you the amount of interest paid during the year in Box 1. 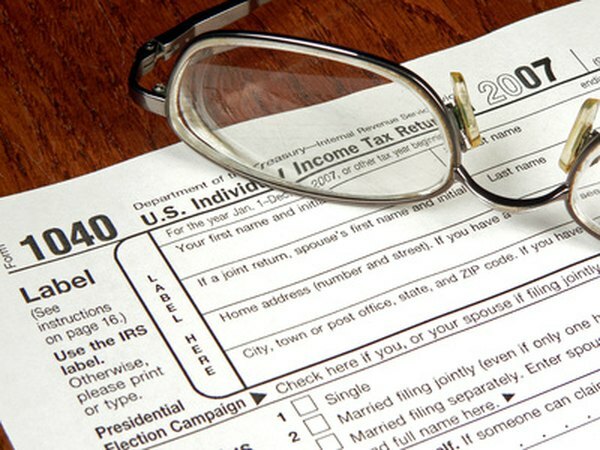 When you file your income taxes, you have to use either Form 1040 or Form 1040A. On either form, report your deduction as an adjustment income under "Student loan interest deduction." You don't have to itemize your deductions to write off the student loan interest. Whether a loan qualifies for the student loan interest deduction is determined at the time the loan is taken out. To qualify, the loan must be for yourself, your spouse or a person you claim as a dependent in the year you take out the loan. For example, if you took out a loan for your daughter and you claimed her as a dependent that year, you can continue to claim the interest each year until the loan is paid off. In addition, the entire loan must be used for qualifying expenses. Qualified educational expenses include most costs associated with attending postsecondary schooling. The school can be not only a college or university, but also a trade or vocational school. The qualifying expenses include tuition, fees, room, board, books and supplies, plus any other necessary expenses. For example, if you use part of the loan proceeds to pay for an airline ticket to get your daughter to college in Hawaii, that would qualify as a necessary transportation cost. You can deduct student loan interest only on loans that you are legally liable to pay. For example, if you took out a student loan in your name only to pay for your child's education, even if your child gives you money to pay back the loan, you can still claim the deduction. Alternatively, if your child took out the loan in his name only but you give him money to make the payments, you can't claim the deduction. Is the Interest on Sallie Mae Educational Loans Tax Deductible? Can Both Dependents & Parents Write Off Tuition on Federal Taxes?